Fees associated with filing patent applications in Australia as well as other patent fees are available in the fee calculator. The term for filing an application for Australian patent claiming conventional priority is 12 months from the priority date. The restoration of this term is possible in case the failure to meet the deadline was due to error, omission or circumstances beyond the control of the person concerned or situations where in spite of an applicant taking due care, the required action still could not have been carried out. There is no fixed term for the deadline restoration, but restoration must be sought without delay as soon as the failure to file the application in time has been detected. The official language of an Australian patent application is English. If an application is filed in a language other than English, it is highly recommended to submit English translation at the time of filing. However, late filing of an English translation is possible within two months from the notification by the Commissioner. A certified copy of the Priority Document is only required on request of the Australian Patent Office or a third party. Currently, Australian legislation does not require filing a Power of Attorney when filing a patent application. If the applicant is not the inventor, the Assignment Deed is not required. Patent applications in Australia undergo formal and substantive examinations. Examination of a patent application in Australia must be requested within two months from issuance of an invitation to request examination or within five years of the filing date, whichever comes earlier. It is possible to request accelerated examination under PPH. - the working of the invention was for the purposes of a reasonable trial of the invention. Furthermore, if any information became publicly available without the consent of the nominated person or patentee, through any publication or use of the invention by another person who derived the information from the nominated person or patentee or from the predecessor in title of the nominated person or patentee, it does not disprove the novelty of the invention in Australia. Official fees for granting should be paid within 3 months from the date when Notice of Allowance was received. Standard patent duration in Australia is 20 years from the filing date. Annual fees are due each year starting from the 5th one and should be paid before the expiry of the 4th anniversary of the filing date. Late payment is possible within a six-month grace period by paying a corresponding surcharge for each lapsed month or part thereof. In case of smooth patent registration process in Australia, the whole procedure takes approximately 4-5 years. 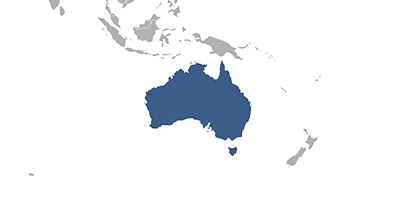 For foreign patent applicants, it is recommended to perform patent prosecution in Australia using an agent - a registered Australian and New Zealand patent attorney. Online Search Database for Australian Patents Search.